En Attendant Serge is the brainchild of Céline Meslin and Emilie Fabrizi, two impatient women (the name means ‘waiting for Serge’) united by a desire to create pure, understated jewellery. 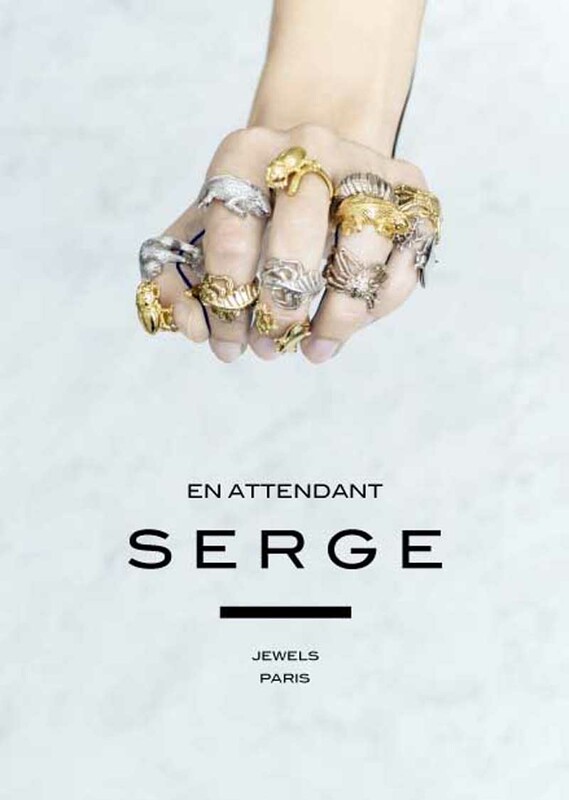 For each collection Serge teams up with artisanal Parisian workshops adept in the art of fine jewellery making, Impressed by the young brand’s creativity, these devout lovers of beauty and virtuosos of design quickly agreed to lend their expert hand. Serge’s vermeil and fine-gold creations turn around one key theme that evolves over time. For its inaugural collection, L’Arche, Serge crafted an eclectic array of creatures in a set of seven rings: a sloth clinging to a branch, an iguana, a manta ray complete with coral, a spider crab, a beetle, an armadillo and a stick insect perched on a leaf. Sculptural, delicate and incredibly detailed, each ring takes its starting point from the animal as a whole, and then strips it down to its essence with stunning realism. The resulting piece curls around the finger without ever fully closing, adjusting perfectly to size fully closing, adjusting perfectly to size.